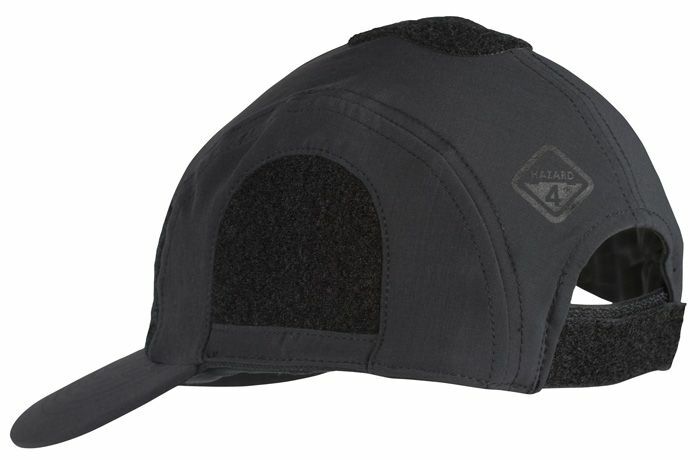 Hazard 4 Light Shell Privateer Cap (Black). 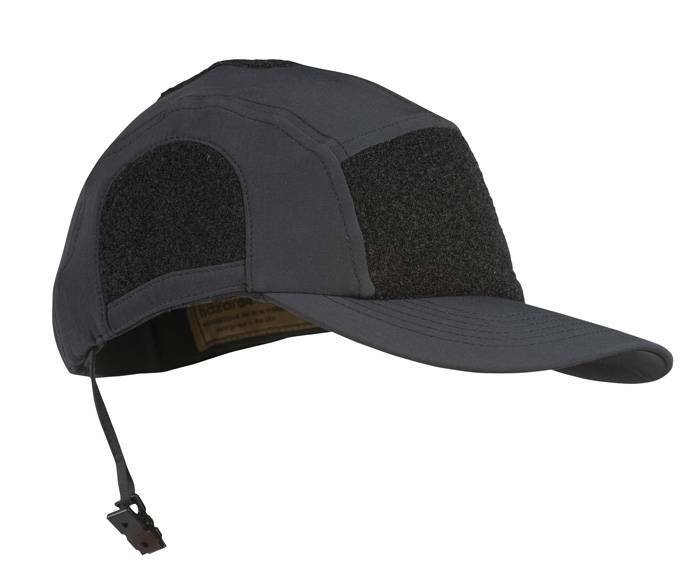 An exclusive, custom-designed operator’s cap with multiple loop-fastener areas inset into the pattern. Also has our exclusive retainer lanyard which can be clipped to one’s collar and can be removed in seconds. 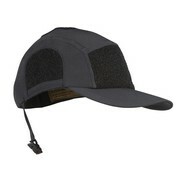 This edition adds a long saught after feature - softshell fabric. This means a water-shedding cap suitable for rainy or snowy conditions* which still allows breathability to keep your head from heating up and staying sweaty. 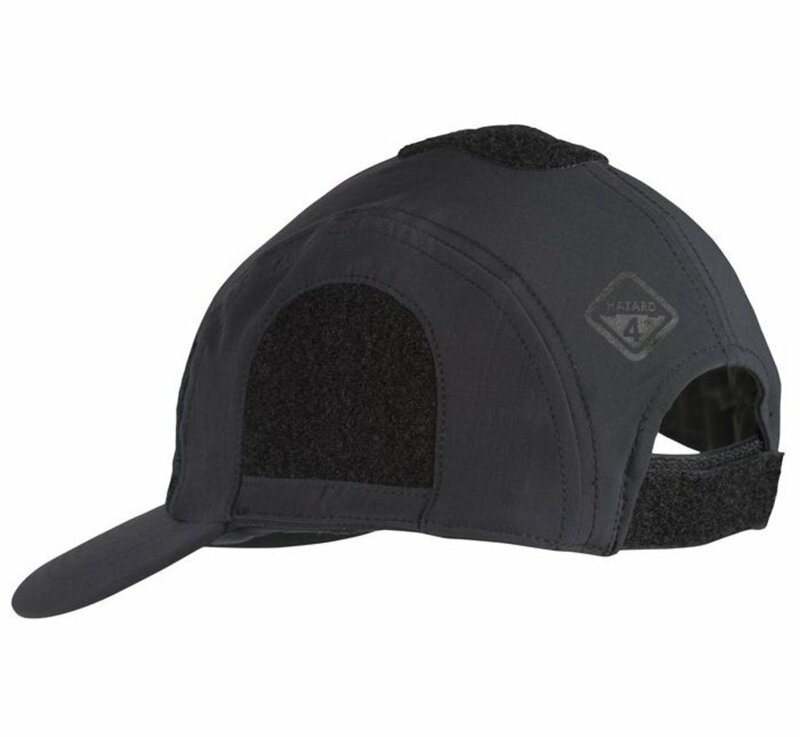 This is especially important in cold environments where that sweat will quickly turn cold when your physical activity slows down and threaten your ability to warm up aside from general discomfort. This unique combination of progressive features makes it a one-of-a-kind.